Symptoms Displaying pop-ups in an annoying manner over website content.Running background process. 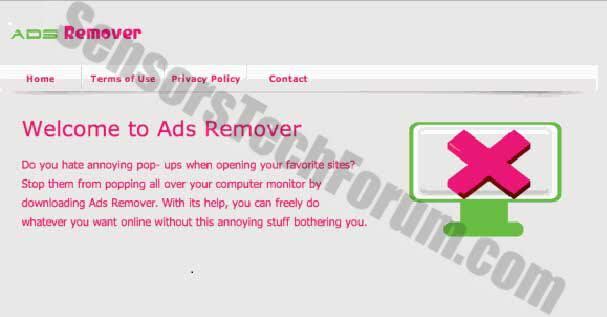 Ads Remover is a program that sounds useful. It promises to block any annoying pop-up advertisements that appear on websites. This may seem as though it is a nice application to have. However, we recommend reconsidering whether you want to have this program on your computer. First of all, it uses tricky methods in order to enter system unnoticed by users. Second, Ads Remover has actually been classified as adware. This means that instead of blocking advertisements, it will produce its own. So it will actually be useless to you. Moreover, it may even expose your system to virtual risk. This is why it is strongly recommended that you get rid of it as soon as possible. Where Did Ads Remover Come from? Ads Remover may have an official website, but it is impossible for users to download it from there. Still, this is an adware program after all. This means that it is usually distributed through bundled downloads. Ads Remover will be attached to freeware installers. And if you are not careful when installing the freeware, you will also unwittingly grant access to Ads Remover to your PC, as well. This is why you must carefully select where you download your software from. Another thing that is recommended is that you select the Advanced/Custom installation option. 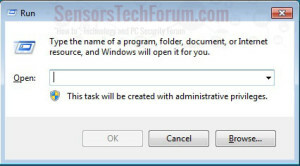 This will give you the opportunity to prevent any additional software from being installed on your PC. What Does Ads Remover Do? Well, Ads Remover will definitely not help you with getting rid of pop-up ads. What it will do is attach itself to your browser. It can work on Internet Explorer, Mozilla Firefox, and Google Chrome. Once this happens, it will start displaying its own advertisements. This can be in pop-up, banner, interstitial, or full-page form. So, in fact, this program will prove to be even more annoying than the ads that you actually were trying to avoid. When it comes to adware programs such as Ads Remover, there is one major issue: they are unreliable. It is very likely that they will display advertisements that lead to harmful websites. These can attempt to infect your computer with some kind of malware that will in turn attempt to steal your sensitive information. Other websites may try to scam you into disclosing your sensitive information yourself. So, as you can see Ads Remover will not provide any benefits to you. Just the opposite, the program can lead to dire circumstances for your system’s security along with that of your personal and financial data. This is why you should get rid of the adware right away. Ads Remover can be uninstalled manually. Go to Control Panel, open the list of programs, find the adware, and remove it. Keep in mind that Ads Remover is a part of a group of adware applications known for sort of randomizing the letters in their names. This means that the program can be installed as AdsRremover, aDDsRemover, AdsRemver, or something of the like. Also, keep in mind that there may be more potentially unwanted programs or malware on your computer as a direct result of Ads Remover’s activities. This is why it is highly recommended that you have reliable anti-malware software on your computer. This will dispose of all intruders automatically and make sure that your system is never compromised again. Follow the instructions above and you will successfully uninstall Ads Remove. 2. 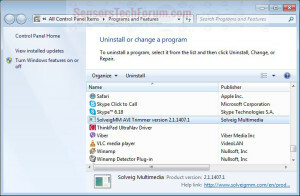 Remove Ads Remove automatically with Spy Hunter Malware - Removal Tool. 2. 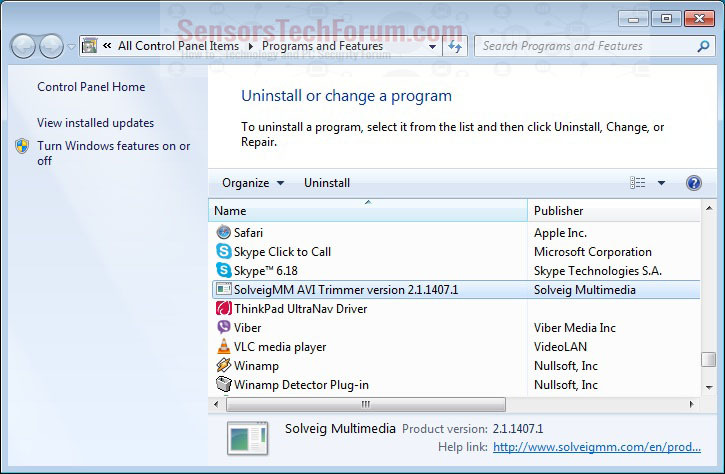 Remove Ads Remove automatically with Spy Hunter Malware – Removal Tool. Threats such as Ads Remove may be persistent. They tend to re-appear if not fully deleted. A malware removal tool like Combo Cleaner will help you to remove malicious programs, saving you the time and the struggle of tracking down numerous malicious files. Threats such as Ads Remove may be persistent on your system. They tend to re-appear if not fully deleted. A malware removal tool like SpyHunter will help you to remove malicious programs, saving you the time and the struggle of tracking down numerous malicious files. Note! Your computer system may be affected by Ads Remove and other threats. SpyHunter is a powerful malware removal tool designed to help users with in-depth system security analysis, detection and removal of threats such as Ads Remove. 1. Install SpyHunter to scan for Ads Remove and remove them. 2. Scan with SpyHunter, Detect and Remove Ads Remove. Ransomware infections and Ads Remove aim to encrypt your files using an encryption algorithm which may be very difficult to decrypt. This is why we have suggested several alternative methods that may help you go around direct decryption and try to restore your files. Bear in mind that these methods may not be 100% effective but may also help you a little or a lot in different situations. Note! Your computer system may be affected by Ads Remove or other threats. Remove Ads Remove by cleaning your Browser and Registry. Fix registry entries created by Ads Remove on your PC. Combo Cleaner is a powerful malware removal tool designed to help users with in-depth system security analysis, detection and removal of threats such as Ads Remove. Step 5: In the Applications menu, look for any suspicious app or an app with a name, similar or identical to Ads Remove. If you find it, right-click on the app and select “Move to Trash”. Step 6: Select Accounts, after which click on the Login Items preference. Your Mac will then show you a list of items that start automatically when you log in. Look for any suspicious apps identical or similar to Ads Remove. Check the app you want to stop from running automatically and then select on the Minus (“–“) icon to hide it. Remove Ads Remove – related extensions from your Mac’s browsers. A pop-up window will appear asking for confirmation to uninstall the extension. Select ‘Uninstall’ again, and the Ads Remove will be removed. When you are facing problems on your Mac as a result of unwanted scripts and programs such as Ads Remove, the recommended way of eliminating the threat is by using an anti-malware program. Combo Cleaner offers advanced security features along with other modules that will improve your Mac’s security and protect it in the future. Hey !, I found this information for you: "How to Remove Ads Remover". Here is the website link: https://sensorstechforum.com/how-to-remove-ads-remover/. Thank you.